RaceWorld will be featuring Round 12 of the Rolex Series from Watkins Glen on Thursday evening (November 9). 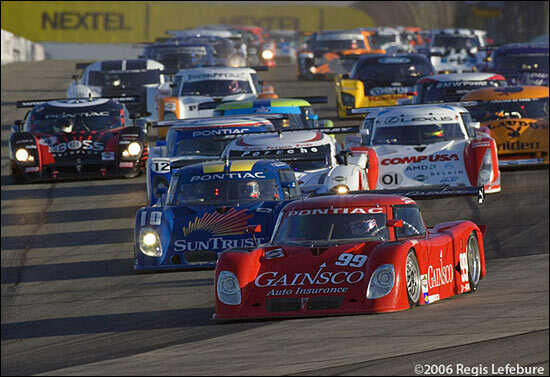 This was the second visit to the New York circuit, this one for Daytona Protoypes only, as an evening race. Mark Cole presents the highlights - beginning at 18.00 GMT, on Sky Sports 3. This was the event which so angered the championship-leading Krohn team, after Colin Braun was granted a two minute penalty for contact with the Lowe's entry. Later in the race (the Krohn Riley back on the lead lap), Jorg Bergmeister was penalised for "running out of line on the restart". Take a look at the incidents and make up your own mind.